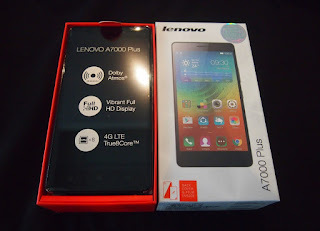 With the official launching and the imminent arrival of the Lenovo A7000 Plus this coming September 15, it is a normal reaction from consumers to ask what are its improvements over the Lenovo A7000, which is its predecessor. To give answers about that question (at least on paper), we prepare the comparison table below. As you can see in the above table (blue fonts), the advantages of the Plus variants are better screen resolution, faster CPU clock speed, bigger internal storage and higher main camera pixels. Meanwhile, the original version got an upper hand in terms of pricing, which is 600 pesos more affordable. The rest of the specifications remained the same, including design and dimensions. Does the price difference justifiable for the few enhancements? Will you be upgrading to the Lenovo A7000 Plus, if you already have the Lenovo A7000? Head on our comment section below to share your thoughts.